Our goal with Benaz – the best cleaner for glass shower doors, was to formulate the impossible: a simple application experience with no power tools needed. That meant, reimagining every element of shower glass polishing to make it not only faster and easier but also better. The result is more than just a glass polish cleaner. It’s the future of restoring shower glass. 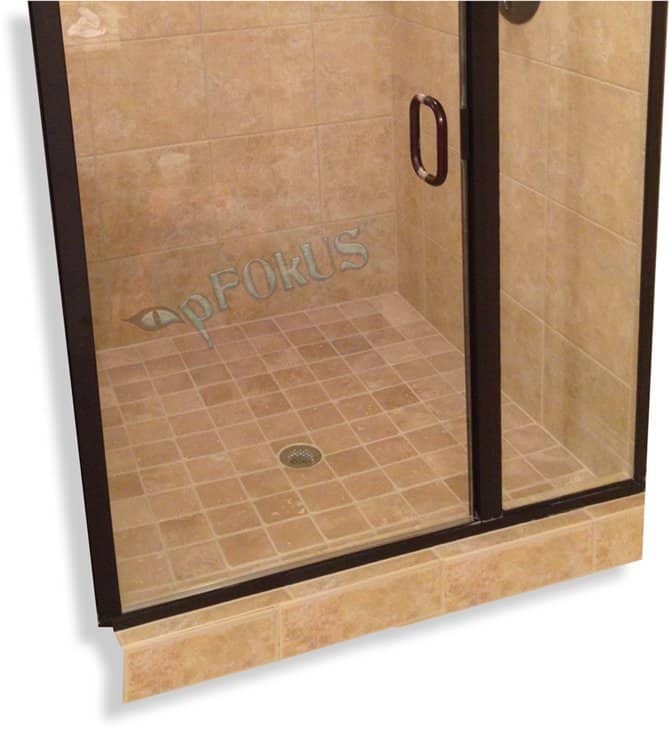 Experience shower glass with water spots. Calcium and magnesium dissolved in water are the two most common minerals that make water “hard dots.” This is a recipe for disaster for your glass. 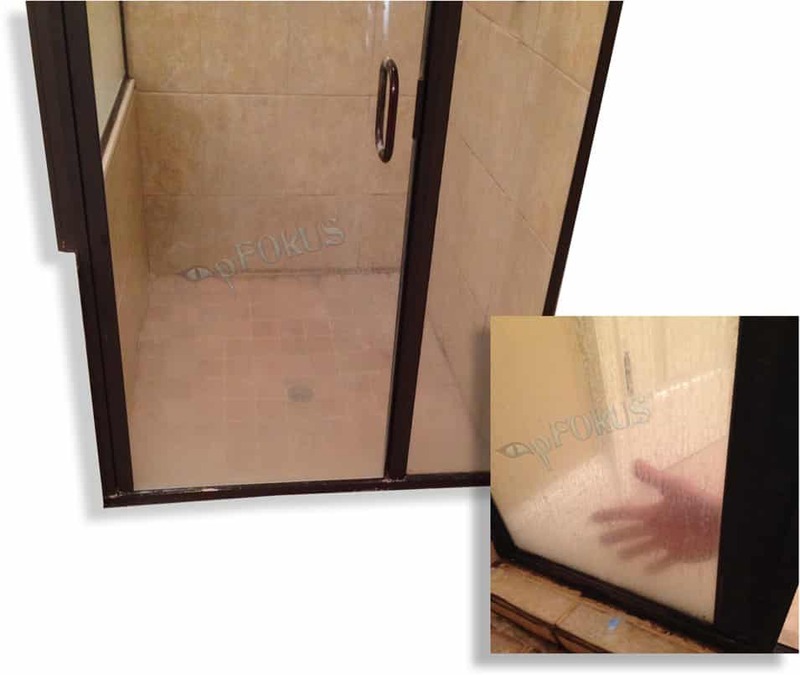 We are able to restore your glass now, creating an astonishingly clear resolution, removing all the water dots and etching with our best cleaner for glass shower doors. A stunning level of clarity. With biodegradable products conserving the plant, we want to leave the earth a better place for new generations. Benaz comes with a white scratch free pad. And now, with even finer powder, improved strength and faster polishing molecules and up to 3 shower panels per bottle, Benaz is even more capable. It’s Epic – to watch Valore’s invisible bonding molecules unfold in front of your eyes. 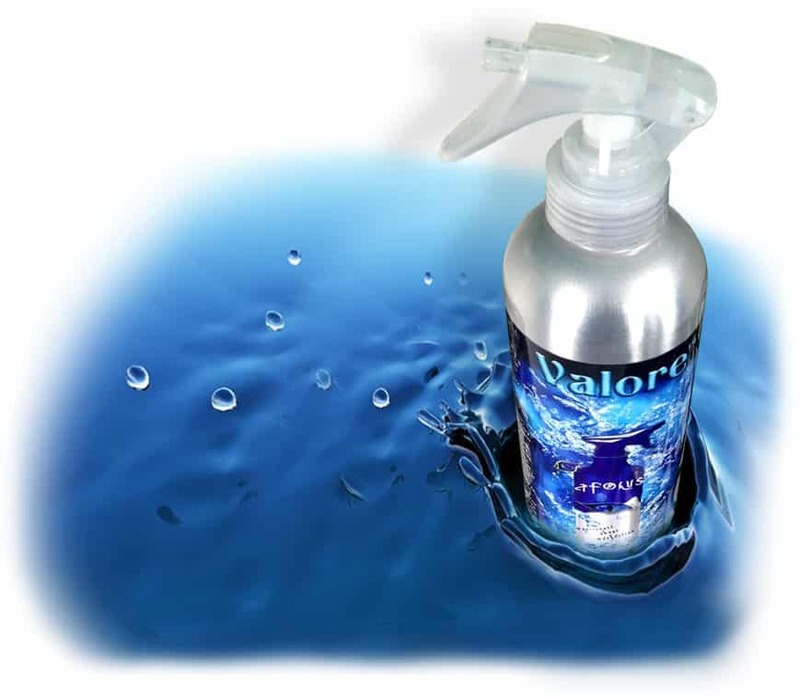 Try the Valore experience yourself and watch water sheet off the glass within seconds of applying and how the glass will dry spot free. 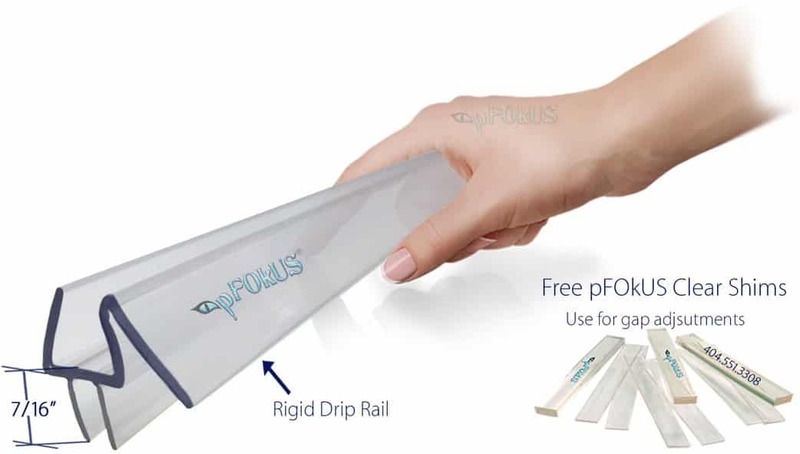 Science meets pFOkUS technology – the result is a low maintenance shower glass enclosure protected by Valore, in a sleek aluminum bottle that seamlessly fits your hand. No longer spotted and etched glass. 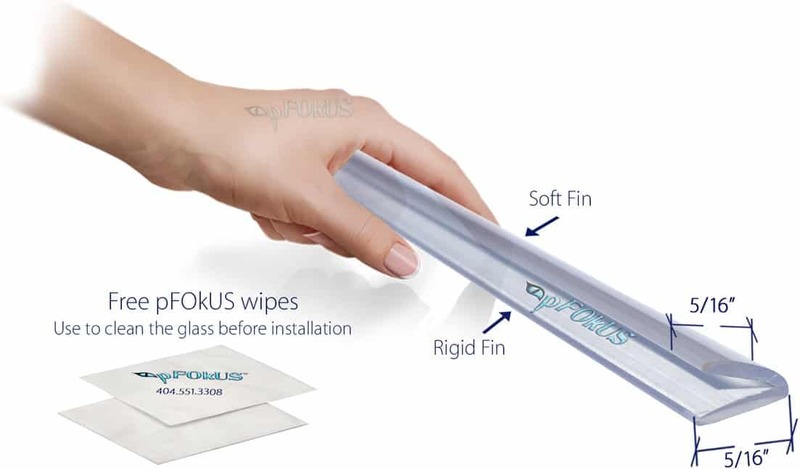 Now there is entirely a new way to polish and seal your glass. 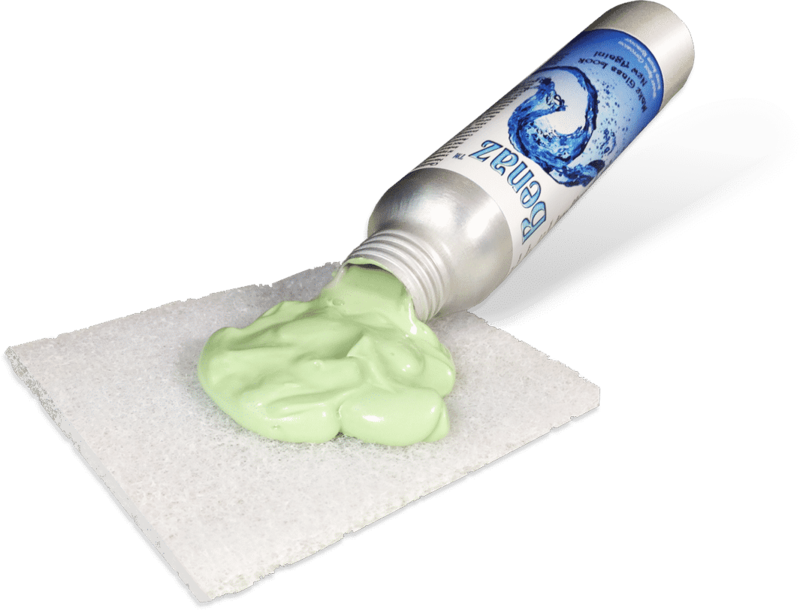 Purchase Valore and Benaz restoration kit which also comes with a scratch free white pad. We also carry glass shower door sweeps and seals…. Will all the water spots that are etched on my glass be removed? Does Benaz come with the white applicator pad? Can Benaz remove deep and light scratches? Benaz removes light surface scratches but not deep scratches. Will Benaz remove all the white water spots on my metal shower frame? 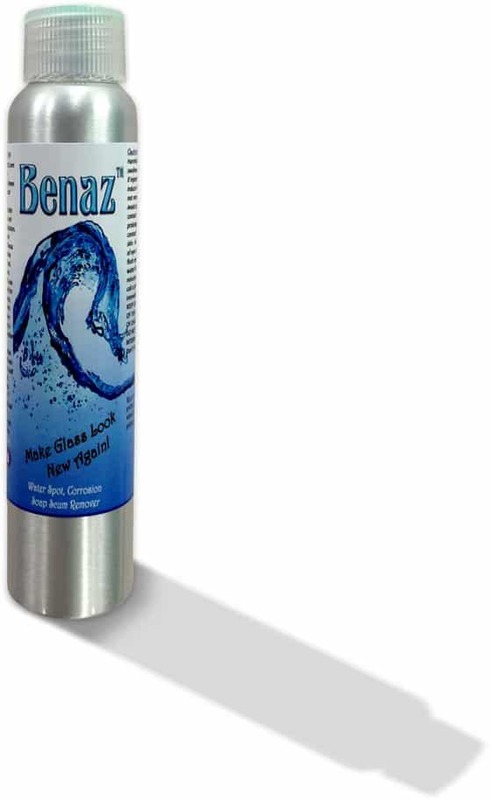 Benaz is the best cleaner for glass shower doors, which will remove all the water spots off your shower frame. As long as the finish on the metal is still present, it will look brand new. We have very hard water, how do we prevent water spots? 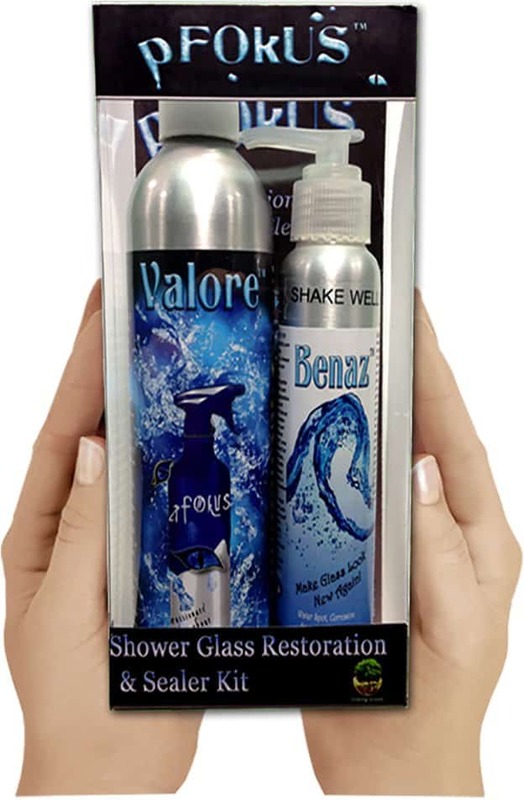 Once the water spots have been removed with Benaz, use our Valore to seal the shower glass. Where do we purchase the Valore glass cleaner and sealer? How often would I spray Valore glass sealer?